“Ari can’t help feeling lost and alone. With teal eyes and freakish silver hair that can’t be changed or destroyed, Ari has always stood out. And after growing up in foster care, she longs for some understanding of where she came from and who she is. Her search for answers uncovers just one message from her long dead mother: Run. Ari can sense that someone, or something, is getting closer than they should. But it’s impossible to protect herself when she doesn’t know what she’s running from or why she is being pursued. How gorgeous is this cover? I saw it and fell in love. The mask, her red lips and fingernails, the purple title! I love the design on the bottom. It looks like the headboard of a bed. So pretty! 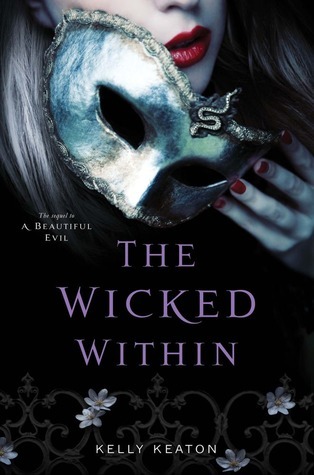 For more about The Wicked Within check it out on Goodreads! I love this cover!! The bright red lips and nails looks so awesome agaisnt all the black. I haven't read A Beautiful Evil yet, but the covers are so beautiful, so now I'm enticed! Love the cover -- and yeah, I need to read this series! Luuurve this cover! I have to read this series too my friend raves about it all the time! Ohhh. Pretty cover!!! I'm curious to read the first book. I didn't know the serie, but the blurb of the first book sounds really good. The cover is absolutely gorgeous! 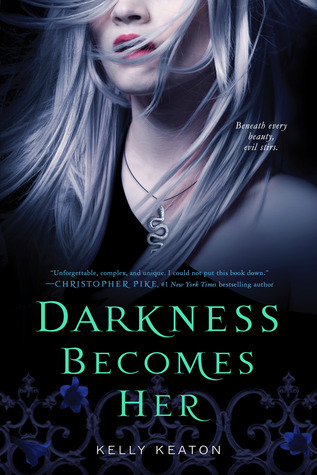 I really love this cover, I hadn't heard of this series before doing the reveal and I will be adding it to my TBR list. The mask with the red lips and red nails really stands out. Thanks for sharing. I have just started seeing this one about and I do love the mask. I am a mask person. I have several masquerade masks. Not being weird or anything but I just like the look of them to hang .